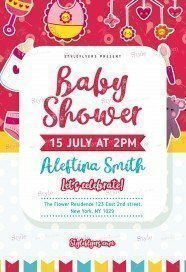 While you expecting for the birth of your child, it’s a high time to think about the celebration on this sweet occasion. 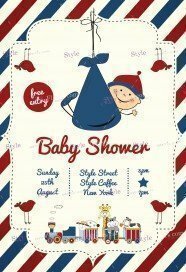 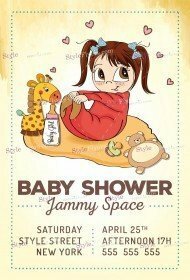 Here at our premium Baby shower PSD flyer template category you can find the great variety of tender and sweet template which will fully satisfy your tastes. 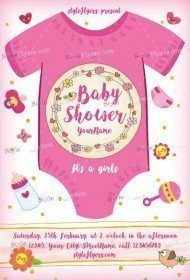 We try to make a tender and gentle design which will be appropriate both for baby girls and baby boys. 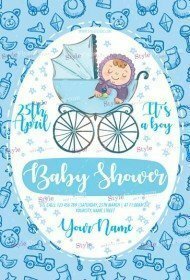 Each our premium flyer will be followed with free Facebook cover, with the help of which you can inform all your guests without any additional problems, just post this cover at your Facebook cover and all friends and relatives will come to your celebration. 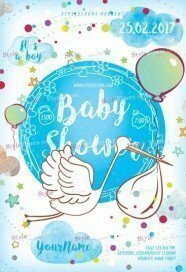 You can opt from the diversity range of our premium baby shower flyers, pick the most appropriate color grade and design. But remember, if you aren’t fully satisfied with this some design you can buy it and then bring it to the perfection. 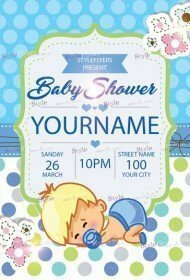 Our easy customization option will provide you with the opportunity of implementation any of your ideas. If you don’t want to make all changes by yourself, just hire us and we will create a perfect invitation for your Baby shower.